We open the day after Thanksgiving! 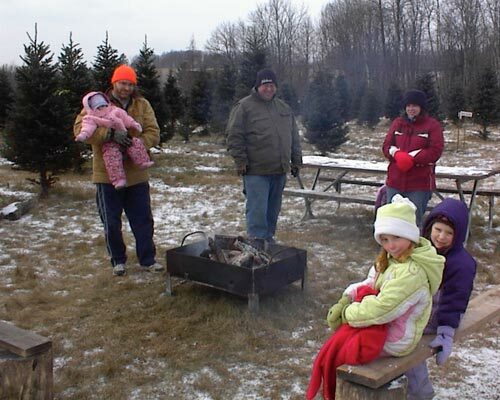 We opened our farm on weekends several years ago. 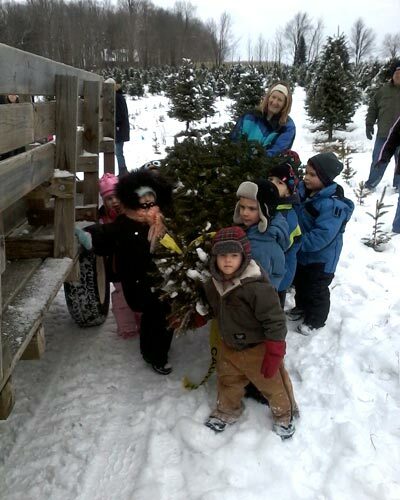 Our goal is to make an enjoyable family experience and tradition from tramping the fields, selecting just the right tree and cutting it yourself. All our facilities are handicapped accessible. 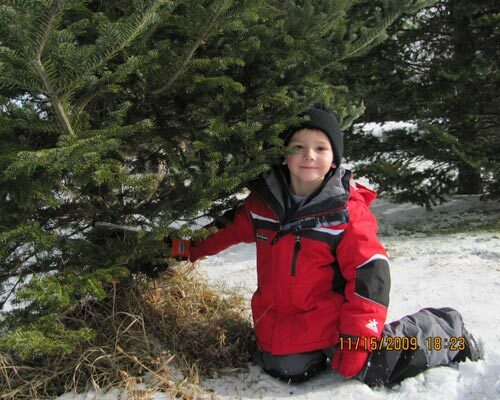 We will cut your tree for you if you are unable to do so. View our Services here. 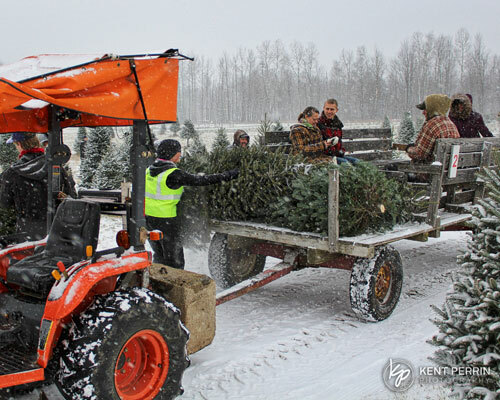 Our experience includes a wagon ride to the field and instructions as to where the best variety, shape and size trees are located. We provide the saw and you provide the power. 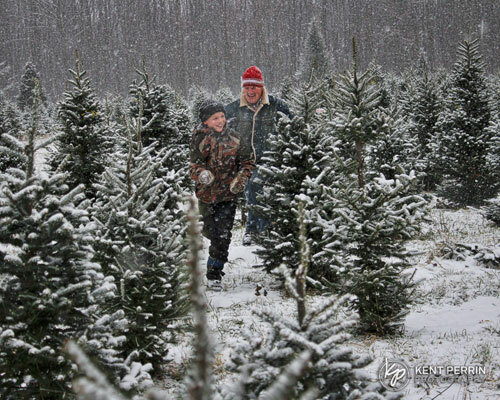 After much searching a decision is made and it’s a family affair to cut your special tree. We always have a bonfire available in the field with seats and picnic tables in case you want to enjoy the outdoors in the cool weather. 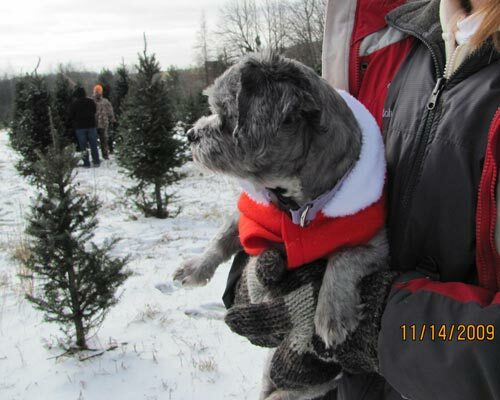 Once your tree is “down” we will load it and carry you and your special tree back to the warming area. 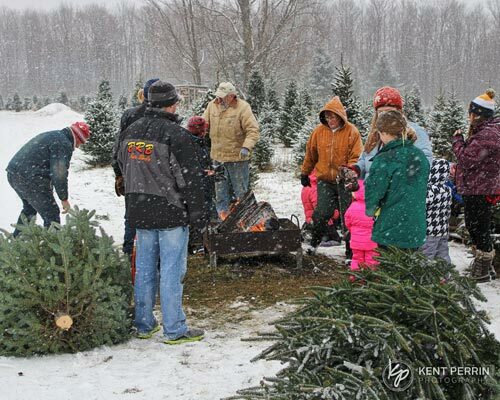 While you are warming up with free coffee or helping the kids to their free coloring book and candy cane, we can be bundling your tree if you wish and securing it to your vehicle. While you’re in the warming house, you can browse the gift shop where you will find crafts made by local folks. 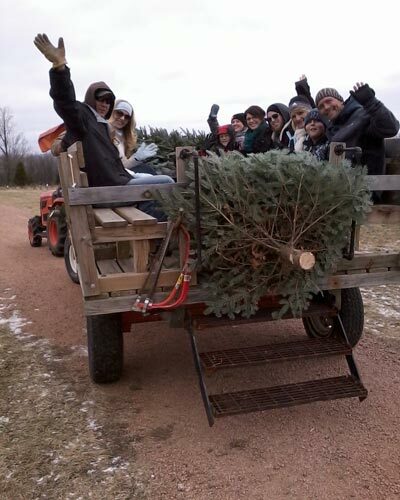 We load your tree onto the wagon and it’s a fun ride back. 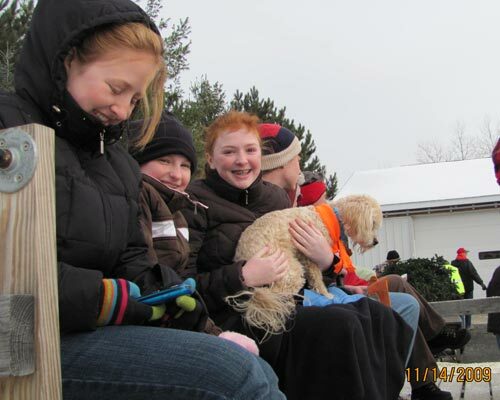 Newbys Evergreen Farms provides a memorable experience for the entire family. If you forgot your camera, we will be happy to send you digital photos upon your request. 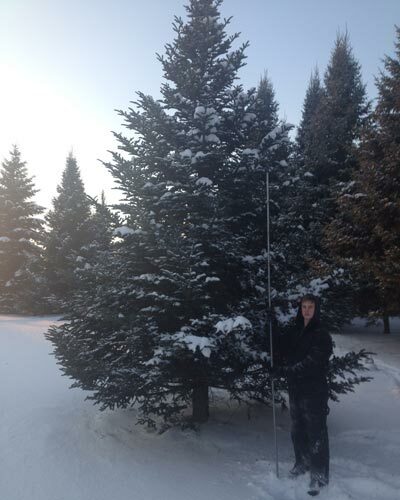 Read testimonials and view more photos of our farm!